Mother's Day is around the corner. I'm pretty excited for it. Each year all of the guys in our family bring over their wives favorite dessert and grill us burgers, sausages, hot dogs for our Mother's Day dinner. It's been a tradition for a while now and I love it. I love that we go to my mother in law's house and us ladies get to relax on the back porch as the guys watch the kids, make us drinks and cook us dinner, not to mention bring our favorite dessert. A day of relaxation By the end of the night we're all stuffed with delicious food and feeling pretty good. What are your plans for Mother's Day? How do you spend Mother's Day? Do you spend it with your mom? If you're a mom, do you get the day off? We'd love to know. 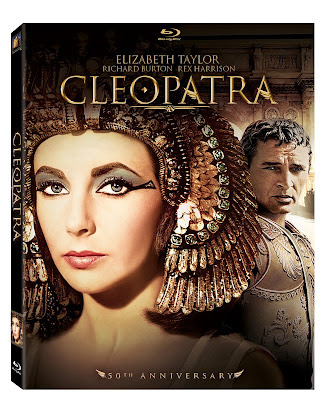 In honor of Mother's Day we got together with Fox to bring one lucky winner both the up and coming release on blu-ray and DVD, Safe Haven and the oldie but goodie movie, Cleopatra on blu-ray. One lucky winner will win both movies! Starring Elizabeth Taylor and Richard Burton. The four-time Academy Award® winning* classic will be released on Blu-ray Disc for the first time May 7 courtesy of Twentieth Century Fox Home Entertainment. In honor of the iconic film’s 50th anniversary, the 243-minute premiere version of Cleopatra has been meticulously restored and presented on Blu-ray for a stunning high definition in-home viewing experience. Josh Duhamel and Julianne Hough star in this spellbinding romantic drama based on the novel by best-selling author Nicholas Sparks (The Notebook). The film arrives on Blu-ray, DVD and Digital HD on May 7 from Twentieth Century Fox Home Entertainment.